An airship is a lighter-than-air aircraft; examples include dirigibles and hot-air balloons. Airships use buoyant gases such as hydrogen and helium to remain aloft, unlike heaver-than-air aircraft such as airplanes and helicopters that rely upon wings or rotors. 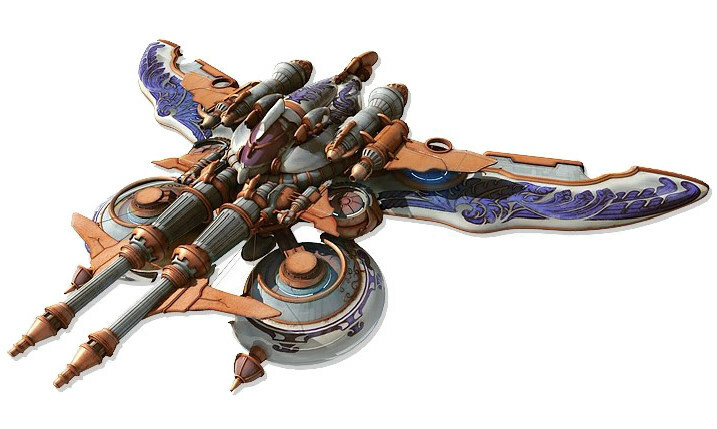 In fiction, however, airship is a catch-all term for unusual aircraft. Fictional airships are much cooler than real-life ones, probably because their designs aren’t restricted by nuisances like production cost and the law of gravity. 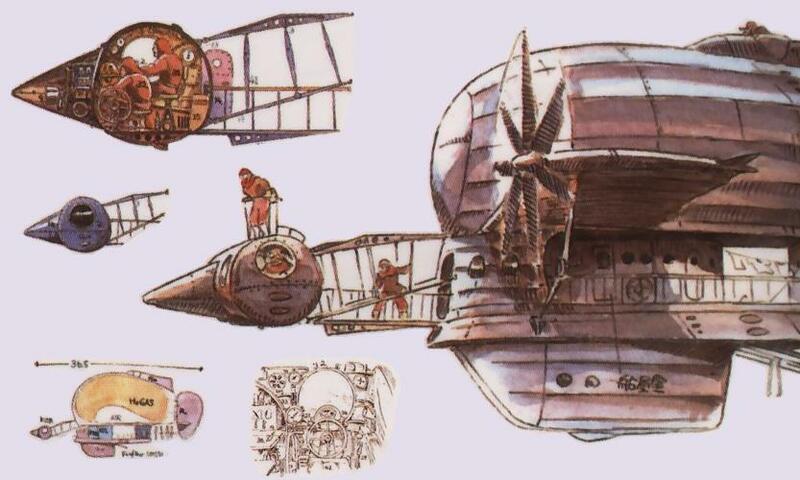 Airships are common in certain kinds of fiction (notably steampunk fantasy) and even make appearances in the Super Mario Bros. games. 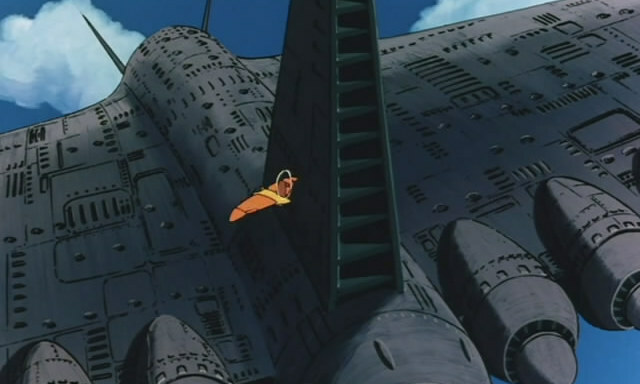 My favorite airships, however, are those from the Final Fantasy series and the films of Hayao Miyazaki. Airships in fiction often evoke a sense of nautical adventure. The sky is an ocean waiting to be explored! 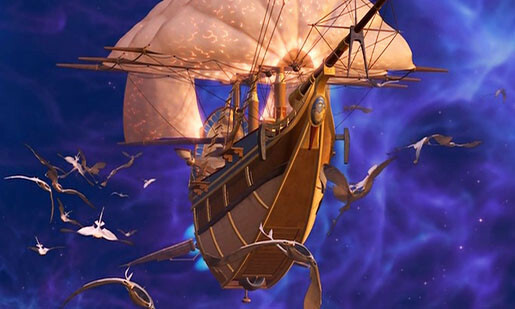 In stories with airships, pirates roam the skies as readily as the seas. 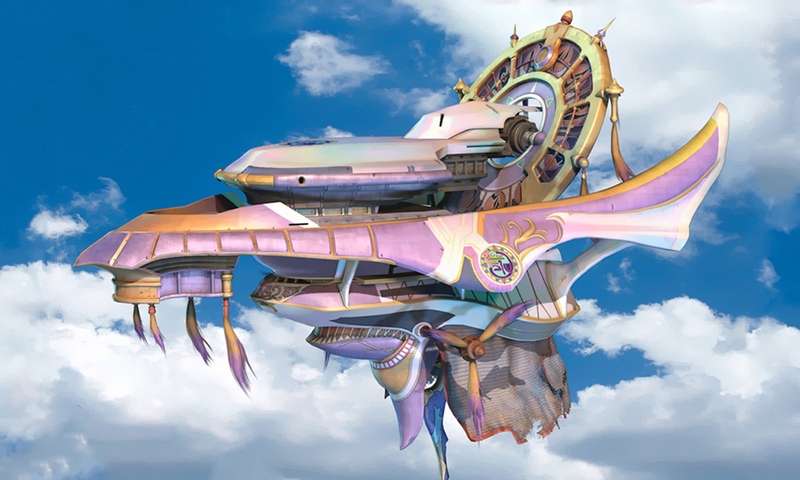 Balthier from Final Fantasy XII (who is basically Captain Jack Sparrow, but cooler) and the Dola Gang from Castle in the Sky (whose airship, the Tiger Moth, can be seen in the picture above) are among the most memorable sky pirates I’ve seen. In its earliest stages, The Trials of Lance Eliot involved airships. I eventually cut them out of the novel because they served no significant purpose (other than being awesome) and complicated the story. It’s kind of a pity, really. Here are some of my favorite airships. 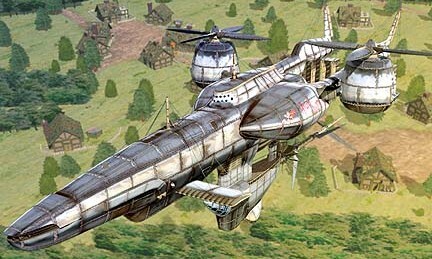 Have you seen any interesting airships in fiction? Let us know in the comments! This entry was posted in Geeky Wednesdays and tagged Final Fantasy, Studio Ghibli, The Trials of Lance Eliot by Adam Stück. Bookmark the permalink. Chesterton’s “The Ball and the Cross” has a pretty cool airship piloted by Professor Lucifer. Wait, G.K. Chesterton wrote a novel with airships? I MUST READ IT.